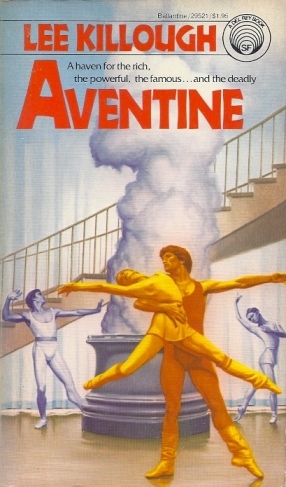 Aventine, Lee Killough (1981). I reviewed this collection of short stories for SF Mistressworks – see here. 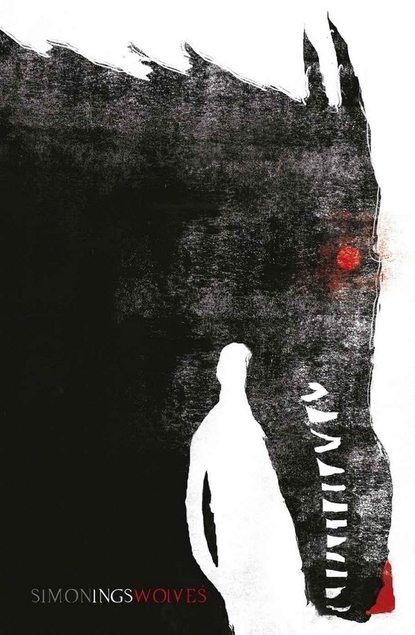 I like Killough’s fiction, it’s very readable and likeable, even – dare I say it – undemanding. This collection’s premise may well have been more original, for science fiction, in 1981 than it is now, but it’s stood the test of time reasonably well. It remains memorable, which is more than can be said of the works of many of Killough’s peers in genre. I shall continue to hunt down copies of her books. Soviet Ghosts, Rebecca Litchfield (2014). And this book makes makes real the dreams of the former book… We’re all too quick to judge one group of people for their failures and yet admire others for their aspirations. 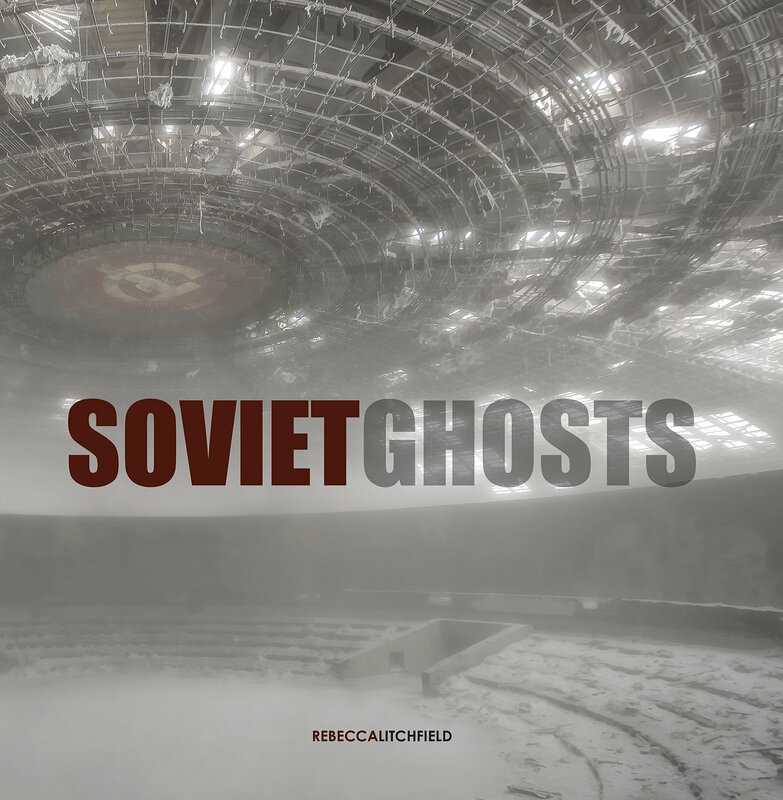 For all its manifold faults and endemic corruption, the Soviet Union had many admirable ideals – and a great many of those are embodied in the buildings, now ruined, which appear in Soviet Ghosts. Perhaps most emblematic is the Buzludzha Monument in Bulgaria, intended as a celebration of a secret assembly of socialists in 1890, opened in 1981, but since fallen into extensive disrepair. Other photographs feature abandoned sheds of locomotives, military bases, hospitals, even entire towns which have been left to rot. 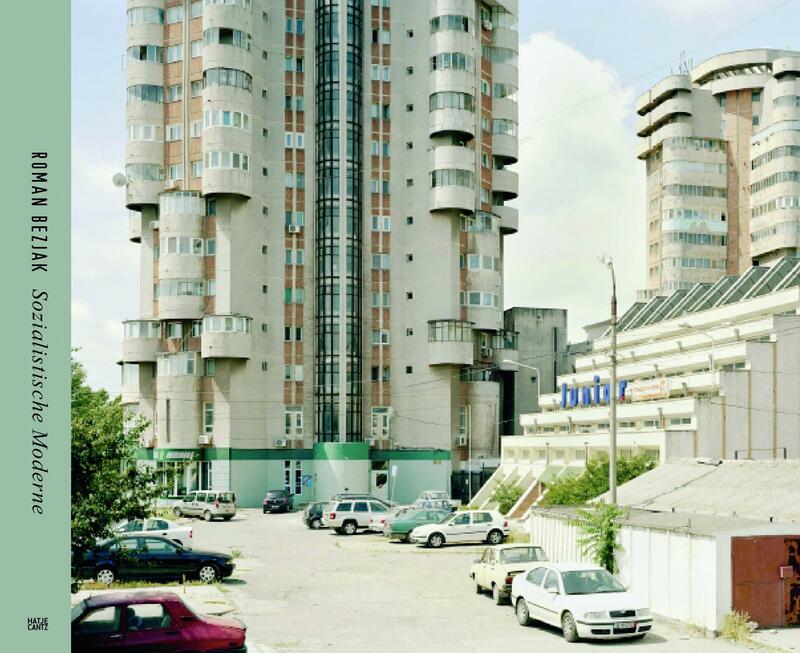 As the previous book no doubt demonstrates, I find socialist architecture interesting, and it’s just as interesting in decay as it is in rude life – perhaps even more so, because it embodies a dream that died rather than one corrupted by compromise, greed and corruption. 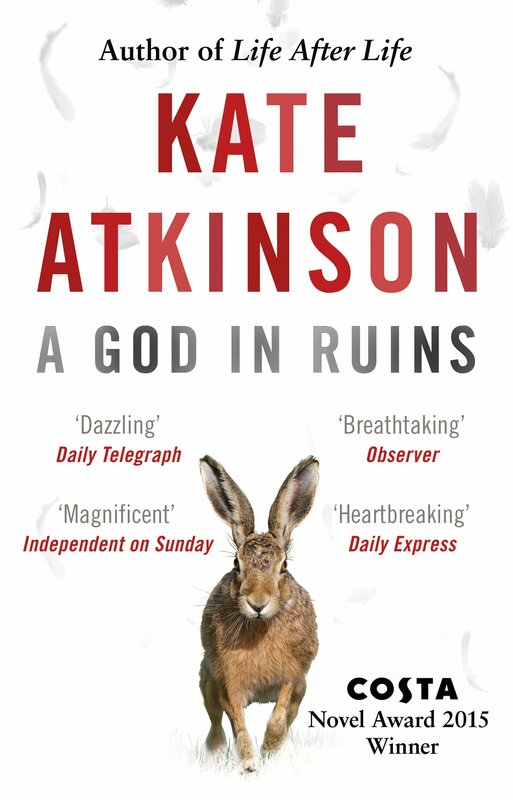 A God in Ruins, Kate Atkinson (2015). I’d heard good things about this semi-demi-hemi-sequel to Life After Life, which was a book I’d enjoyed a great deal and thought good enough to nominate for the Hugo (as I was a Worldcon member, briefly, that year). In that earlier novel, Ursula Todd repeatedly died and was reborn, and so got to live out alternate versions of her life, of history itself since much of the story took place during World War 2. Teddy is Ursula’s younger brother. He enlists in the RAF, becomes the pilot of a Handley Page Halifax heavy bomber, flies three tours (ie, ninety missions), before being downed and captured. After the war, he marries his childhood sweetheart, Nancy, who worked as a decoder at Bletchley Park, the two become teachers, have a daughter Viola, who bounces around UK counter-culture, and has two children of her own, Sunny and Bertie. 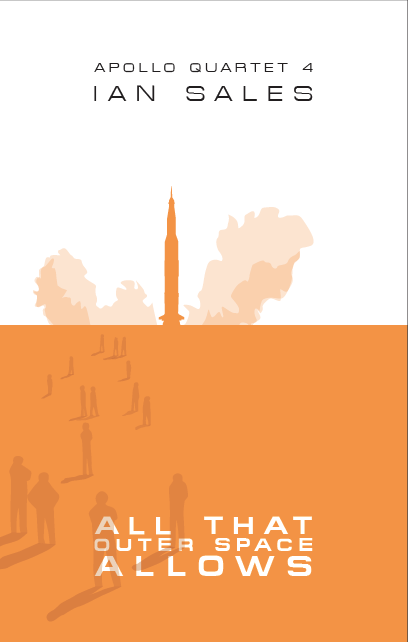 A God in Ruins is Teddy’s life, told in non-chronological order. He is an ordinary man in extraordinary times, who promises himself that if he survives the war he will strive to always be kind – and so he does. It’s a lovely piece of writing, deeply affecting, with an impressive control of the story’s emotional landscape. I suspect it will prove one of the best books I read this year. The big question, however, is: is A God in Ruins genre? For ninety-five percent of its length, most certainly not – it is a well-researched piece of historical fiction (Connie Willis should take notes). But the ending casts an entirely different light on what has gone before. It’s either genre or metafiction, although I tend to the former, given its link to Life After Life and the way the ending is actually handled. But read it for yourself and make up your own mind. Because you really should read it. After the Funeral, Paul Scott (1979). 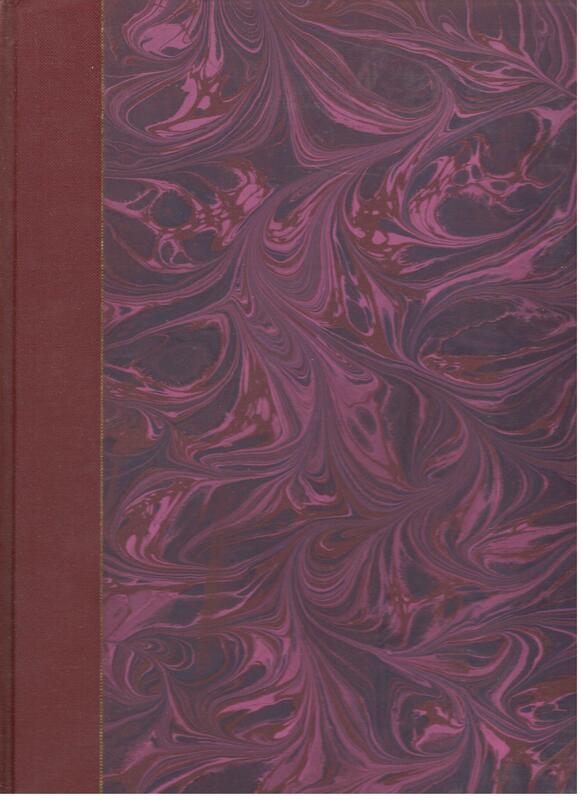 The only edition of this short story available is a chapbook published shortly after Scott’s death, illustrated by his daughter and with a preface by his friend and collaborator Roland Gant. Copies are hard to find and expensive, but I found a reasonably-priced one on eBay. The story is typical Scott – a retelling of Cinderella which turns the entire tale on its head without losing sight of the original or sacrificing detail. The illustrations are lovely and appropriate. It is, in all, a very nice limited edition slipcased hardcover chapbook, and a fitting tribute to its author. 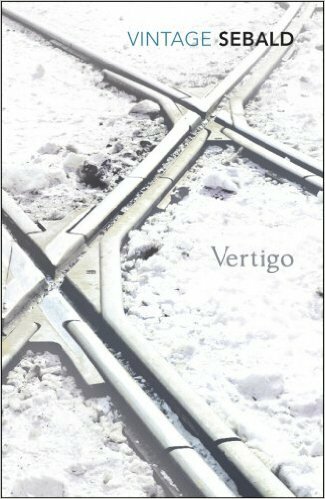 Vertigo*, WG Sebald (1990). If you want to confuse someone, ask them to explain the plot of a Sebald novel. Better yet, ask them if his novels actually are novels. Because I’m not entirely sure they are – and yet I’m pretty sure they’re fictional. Vertigo describes the arrival in Italy of Stendahl in the early 1800s as part of Napoleon’s army, and then covers his life somewhat swiftly. 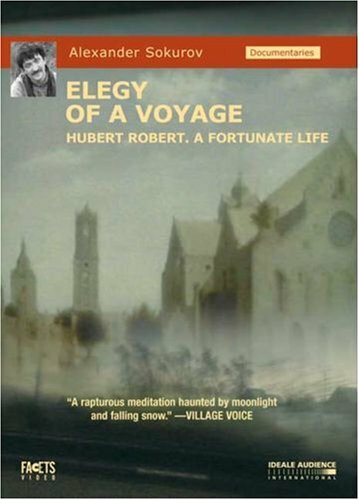 The next section recounts two visits by the narrator to Venice, and other towns in Italy, as in 1987 he retraces some of his travels of 1980. The third section describes an incident during Franz Kafka’s life, when he was supposed to give a talk in an Italian town in his professional capacity. 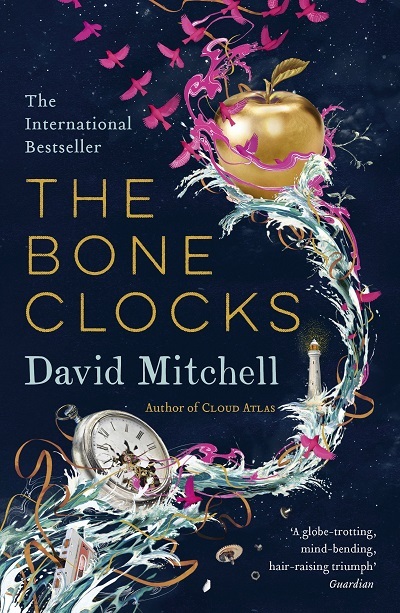 In the final section, the narrator returns to his childhood village and notes the changes since he left decades before. It’s clear the narrator is Sebald himself, but not clear how much of what he recounts is invention. Certainly Venice, which he visits, is a real place, and the places he mentions in the city are real and the histories he gives them are real; but is the village of W., where the narrator spent his childhood, an actual place? Does it matter? I am, as should be clear from my own writing, interested in that liminal area between true fact and invented fiction – that is, essentially, what the glossary to Adrift on the Sea of Rains is. (And I admit it, Sebald’s Austerlitz was one of the inspirations behind my novella.) Reading Sebald is unlike reading any other author, and it’s for that reason – and the sheer quality of his prose – that I treasure his books. I plan to work my way through his entire oeuvre. Categories: book review, books, reading diary 2015, Uncategorized | Tags: kate atkinson, lee killough, paul scott, rebecca litchfield, roman bezjak, wg sebald | Permalink. A Male Child, Paul Scott (1956). Scott’s Raj Quartet is an astonishing set of novels and, for good reason, considered a classic of postwar British literature. I loved and admired it so much, I started collecting Scott’s other novels – not an easy task as only the Raj Quartet, and its sequel, Staying On, remain in print. But I managed it. And… The Raj Quartet is definitely a high-water mark in his writing career. Which is not to say his other books are bad. They’re just… not as interesting. I can see how for their time they might be a little out-of-the-ordinary, but from the twenty-first century I suspect the differences are too slight to stand out. 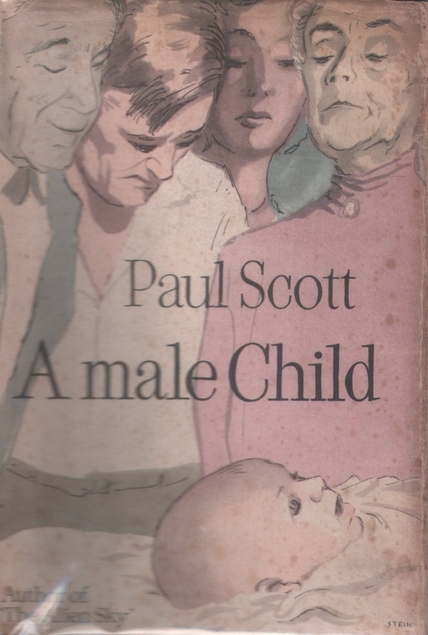 A Male Child is set in 1947, just after the war has finished. The narrator, Ian Canning, has returned to the UK after service in India. During the war, he caught a tropical disease and has suffered from ill health ever since. He doesn’t have much of a career – he was a publisher’s reader before the war, and he tries to pick this up again. Then he bumps into Alan Hurst, a fellow officer and friend from India, who suggests the narrator writes a biography of HUrst’s aunt, a popular writer during the 1910s and 1920s. To this end, he suggests Canning comes to live with him and his mother – given Canning’s flat was sublet to a friend while he was in India and said friend is reluctant to vacate, it seems a good idea. He’s given the bedroom of Hurst’s younger brother, killed during the War, and idolised by their mother, in a large house that once belonged to the family but has now been broken up into flats. The plot is basically Canning trying to come to terms with civilian life and his illness, while caught up in a somewhat uncomfortable family situation. It’s a nice, well-observed piece of prose, with some lovely writing. But there’s little in it to stand out. 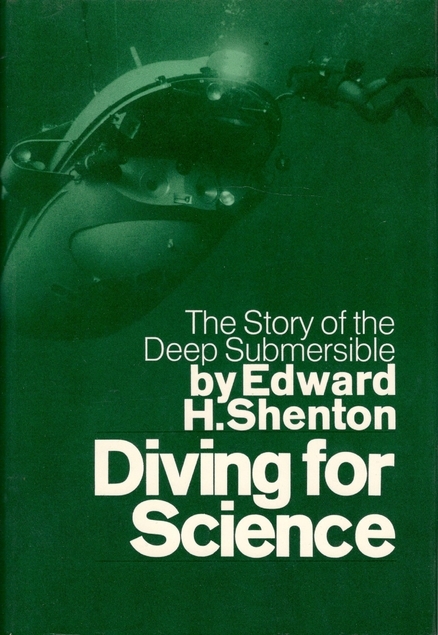 Diving for Science, Edward H Shenton (1972). The subtitle to this book does a pretty good job of describing its contents: “The Story of the Deep Submersible”. It’s a potted history, and a rough guide to the workings, of research submersibles, chiefly those which descend to around 2,000 feet or deeper. Some of the more interesting incidents in which submersibles have been involved – Trieste’s descent to Challenger Deep, the sinking and recovery of DSV Alvin, the hunt for the USS Thresher, the recovery of a lost USAF atom bomb off the coast of Spain, the Ben Franklin two-thousand mile underwater journey – are mentioned, but in no great detail. There’s a chapter on how submersibles function, and another on their legal certification. An appendix lists details for every submersible built up to that point. The book does point out that by 1970, their use was beginning to wane, and many had been mothballed – chiefly because they’re expensive to build and run, and cheaper options were available. These days, of course, ROVs and AUVs are more often used than actual submersibles and, except for James Cameron’s Deepsea Challenger and four bathyscaphes built and operated by China (there’s very little info about these online), the handful of deep-diving submersibles currently operating are generally limited to 20,000 feet (6,000 metres). Despite being more than forty years old, this is still a useful book. Dreamships, Melissa Scott (1992). I’ve always suspected that if I’d come across Scott’s novels in the 1980s I’d have probably started following her career. Admittedly, this is only the third novel by her I’ve read, but I did really like the previous two, Shadow Man and The Kindly Ones. But Scott’s books were not easy to find in the UK back then – only her Silence Leigh trilogy and The Kindly Ones appear to have been published here. 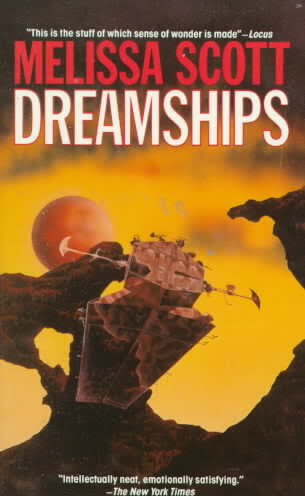 Having said all that, Dreamships was a little disappointing. Anyway, a review of it will be appearing soon on SF Mistressworks. Exploring the Deep Frontier, Sylvia A Earle & Al Giddings (1980). I don’t normally bother to mention coffee table books, especially ones published by National Geographic (not that I own many of them, in fact I think this is the only one). But Exploring the Deep Frontier is a pretty good run-through of underwater exploration – the history and the state-of-the-art as of 1980 – and, unsurprisingly, contains a number of especially nice photographs. That’s Earle there on the cover in a JIM suit. She also leads an all-female team in the Tekton underwater habitat, rides in a submersible, and dives in various places around the world. She provides the text of the book, which switches between her own first-person experiences, and a quick history of underwater exploration. Giddings is the photographer. A pretty book. It’s just a shame my copy is so tatty (an eBay purchase, natch), but given it’s 36 years old I suppose that’s understandable. 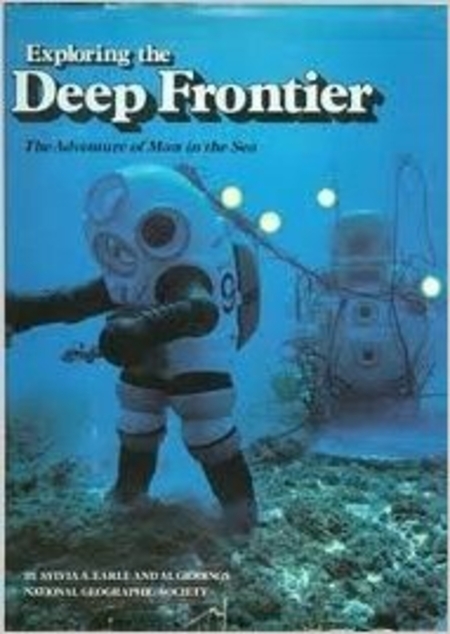 It’s also sadly disappointing that Exploring the Deep Frontier is subtitled “The Adventure of Man in the Sea” when the author is a woman and the bulk of the text covers her adventures. The Lost Steersman, Rosemary Kirstein (2003). 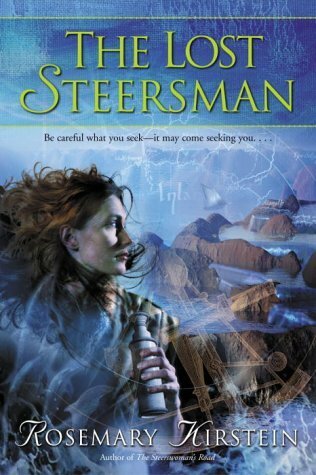 I stumbled across the first book of this series, The Steerswoman, in a charity shop several years ago and bought it because I vaguely recalled someone telling me it was good. I really liked it – and said so in my review on SF Mistressworks (here). I liked the sequel, The Outskirter’s Secret, even more (see here). So it’s fair to say I had high expectations of The Lost Steersman. 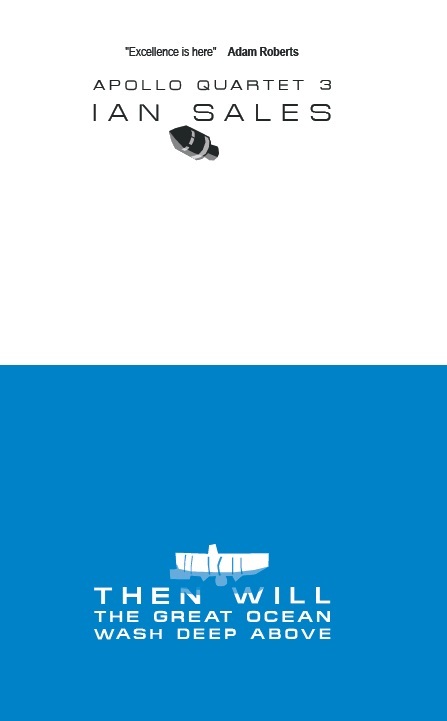 And… it sort of almost nearly met them. Rowan is now in the port town of Alemeth after leaving the Outskirts. There’s a Steerswomen’s Annex there, so she hopes to consult its thousands of volumes for more clues about Routine Bioform Clearance, the spell which opens up new lands to the east and so allowing for human expansion, but which appears to have stopped and is being misused by the evil wizard Slado. But the Alemeth steerswoman has died and has left the Annex in a right state, so Rowan has to get it all sorted out. And then demons, creatures from the Outskirts, begin to attack the town… Although couched in the language of fantasy, this is clearly science fiction, and Kirstein cleverly reveals more of the ecology of the world as Rowan investigates. Unfortunately, the first half of the novel is slow and a bit dull, and things only begin to get really interesting when Rowan sails south looking for Slado’s hidden fortress. She doesn’t find it – but what she does find tells the reader more about the world than it tells Rowan. They’re good books, these. The paperbacks are long out of print, but they’re still available as ebooks. Worth getting. Categories: book review, books, reading diary 2015 | Tags: al giddings, edward h shenton, melissa scott, paul scott, rosemary kirstein, simon ings, submersibles, syliva a earle | Permalink. It’s that time of the year again, time to look back at the books I’ve read, the films I’ve watched, and the albums I’ve listened to, and decide which five earn a place on the much-coveted best of the half-year lists. To put these lists into perspective, I have – by 20 June – bought twelve albums (all from bandcamp), watched 234 films (which does include a number of rewatches), and read 74 books (which includes half a dozen previously read books). I’ve also been documenting my reading in a series of Reading diary posts (currently at #7, with #8 to be posted shortly), and my film-watching in a series of Moving pictures posts (fifteen so far this year). So far, 2014 has felt like quite a good year. 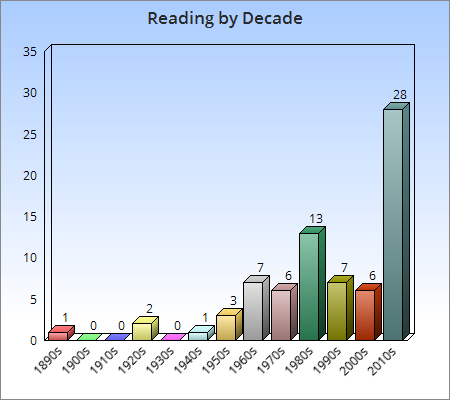 To date I’ve read 74 books, which is a slight dip from this time last year but up on the year before. And in both years I comfortably managed to read 150 books (which is just as well as I’ve entered 150 books for my GoodReads 2015 Book Challenge). On the film front, I have as usual failed to make it to the cinema even once, so most of my movie-watching has been on DVD – and I’ve started buying Blu-rays more often now too. Most of those DVDs were rentals, which has helped so far knock sixty titles of the 1001 Movies You Must See Before You Die list, not all of which, incidentally, I’m convinced belonged on the list. 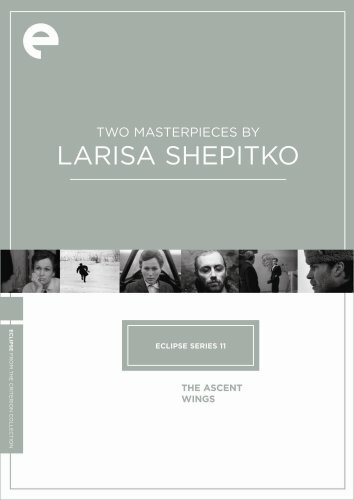 I’ve also spent the year so far tracking down copies of films on DVD by my favourite directors, especially Aleksandr Sokurov. I now own all but one of his DVDs, but since the only copies of it I’ve found are priced around £200 to £250 I might have to use – kof kof – “alternative” sources. Anyway, I’ve been watching a lot of films – 238 to date. Some of them I’ve watched more than once. Finally, music… which has not been as successful this year as books or films. I’ve spent most of my time listening to groups on bandcamp, and have consequently discovered a number of excellent bands – in fact, all of the ones mentioned in this post were purchased there. I’ve only been to two gigs this year – one was Sólstafir, who were excellent; the second was half a dozen bands at a gig sponsored by Femetalism. None of my favourite bands have released new albums so far this year, although one or two have releases planned later in the year. Anyway, here are the lists, with the usual honourable mentions as well. What the Doctor Ordered, Michael Blumlein (2013). Blumlein has been a favourite writer for many years, but his short fiction has always been more impressive than his novels. And this new collection – only his second since 1990’s The Brains of Rats – amply demonstrates why Blumlein is such a brilliant short story writer. A much undersung writer who deserves to be better known. Incidentally, Centipede Press have done a lovely job with the book. 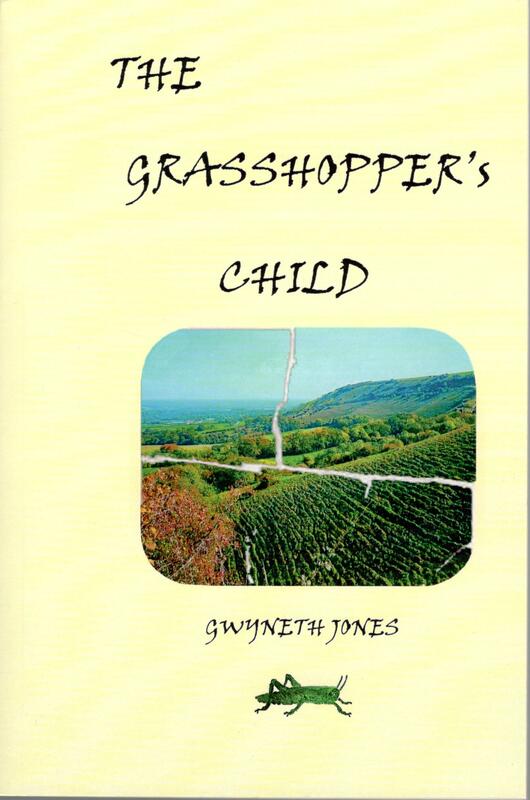 The Grasshopper’s Child, Gwyneth Jones (2014). A new novel from a favourite author. It’s actually a YA novel set in the universe of the not-YA Bold as Love quintet. There is a fierce intelligence to Jones’s books which shines through her prose, and it’s one of the reasons I consider her the UK’s best science fiction writer currently being published – except she isn’t these days, as The Grasshopper’s Child was self-published. Seriously, that shouldn’t be happening. A Division Of The Spoils, Paul Scott (1975). The final book of the Raj Quartet, and what a piece of work the quartet is. Scott is superb at handling voices, and in Barbie Batchelor has created one of fiction’s great characters – although this book belongs more to Guy Perron, a gentleman NCO keen to return to the UK now the war is over, but who comes into the orbit of the Layton family (who have been a constant presence running through all four books). I’m already looking forward to rereading the quartet. 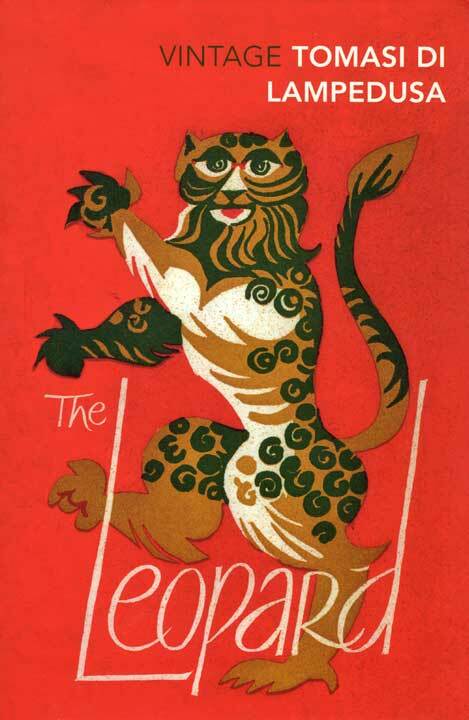 The Leopard, Giuseppe Tomasi di Lampedusa (1958). I watched the film of this and that persuaded me to read the book. And I’m glad I did. There are Lawrentian elements to it, although a story which valorises the aristocracy and (mostly) presents the lower classes as venal in order to demonstrate the coming of a new world order… would not be my first choice of reading. But Tomasi di Lampedusa manages to give his fading nobles an air of tragedy as their time passes, even if the Salina family’s paternalism feels like a relic of a much earlier age. 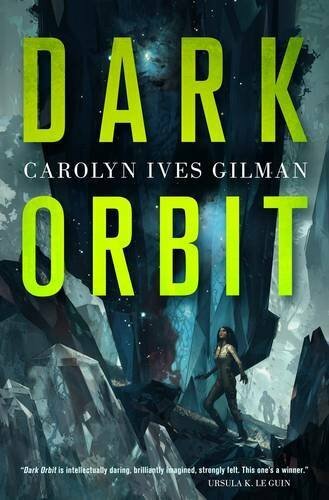 Dark Orbit, Carolyn Ives Gilman (2015). Another favourite author. This novel is set in the same universe as Gilman’s excellent novellas ‘The Ice Owl’ and ‘Arkfall’, and while some elements of the novel are not entirely successful, it does make use of some heavy concepts and it handles them really well. 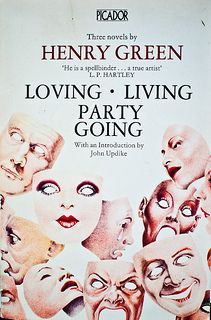 A science fiction novel that makes you think – and we really could do with more of them these days. Honourable mentions. A pair of polished collections – The Lady of Situations, Stephen Dedman (1999), and Adam Robots, Adam Roberts (2013), not every story in them worked, but the good ones were very good indeed. Strange Bodies, Marcel Theroux (2013), which surprisingly seems to have been missed by much of sf fandom, which is a shame. A Man Lies Dreaming, Lavie Tidhar (2014), a pulp detective tale with a failed Hitler as the hero shouldn’t work, but this blackly comic take on it definitely does. Touch, Claire North (2015), is perhaps not as successful as last year’s The First Fifteen Lives of Harry August, as its fascinating premise is married to a weak plot; but never mind. I hadn’t realised I’d read so many recent books, and I’ve no idea why the 1980s is the next most popular decade – perhaps it’s due to the books I picked to review for SF Mistressworks. The one nineteenth century book was HG Wells, the two 1920s ones were DH Lawrence. 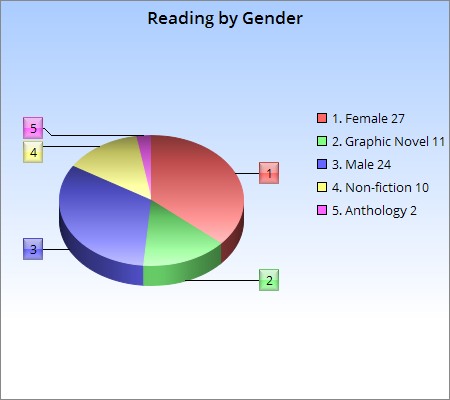 I alternate genders when choosing fiction books to read, but I seem to have slipped up somewhere, and women writers currently outnumber men in my reading. 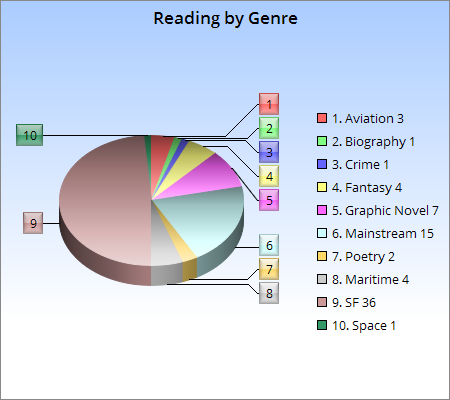 It never feels like I read a lot of science fiction, but at almost half of my reading I guess I must be doing so. Mainstream is the next highest genre, but only twenty percent. To be fair, it seems the mainstream books are often more memorable than the genre ones. But at least the numbers explain the good showing by genre in my top five and honourable mentions. Playtime, Jacques Tati (1967, France). I’d never actually seen a Tati film until I rented Les Vacances de M Hulot last August. I enjoyed it, but something I read somewhere persuaded me to add his Playtime to my rental list. And I watched it for the first time early this year. And loved it so much, I bought a Blu-ray of it. And then I spotted that a Tati Blu-ray collection was on offer on Amazon, so I bought that too. 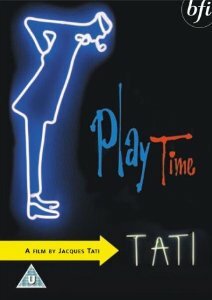 But none of Tati’s other films blew me away as much as Playtime, although Mon Oncle comes a close second (and so makes my honourable mentions below). Elegy of a Voyage, Aleksandr Sokurov (2001, Russia). I’ve watched this three times since I bought it, as part of my 2015 love affair with Sokurov’s films. As the title suggests, the film is a meditation on travel, and art, with Sokurov in voiceover describing a journey he takes which ends up at a museum in, I think, a German city. Elegy of a Voyage is everything that Sokurov does so well, that makes a film a Sokurov film. Not to mention the somewhat idiosyncratic artistic choices Sokurov makes, such as using a 4:3 aspect ratio, distorting the image so it almost resembles a painting, and the use of colour filters to further distance the viewer from the picture. The beauty of Sokurov’s films is not that they bear repeated viewings, but that they require it. 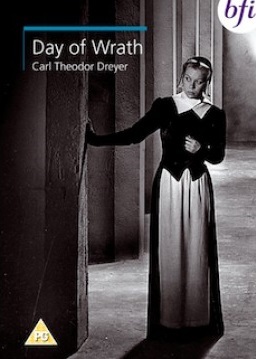 Day Of Wrath, Carl Theodor Dreyer (1943, Denmark). 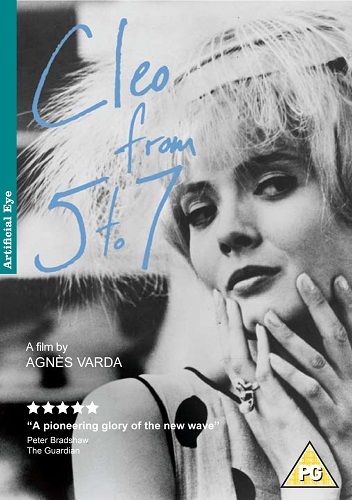 This year I also became a fan of Dreyer’s films – his Gertrud had been a favourite for a couple of years – but in 2015 I bought DVDs of all his available movies. And worked my way through them. The silent films are astonishingly modern – especially The Passion of Joan of Arc – but I do prefer the later films, and after Gertrud, Day Of Wrath is I think his next best – and like Gertrud, it’s about women and women’s roles in society, but this time set in 1623 and describing how a young woman saves her mother from a charge of witchcraft by marrying the local pastor. And then it all goes horribly wrong. Jodorowsky’s Dune, Frank Pavich (2013, USA). One of the reasons I bought a Blu-ray player capable of playing multi-region Blu-rays was because I wanted to see this film – to date it has not been released in the UK. 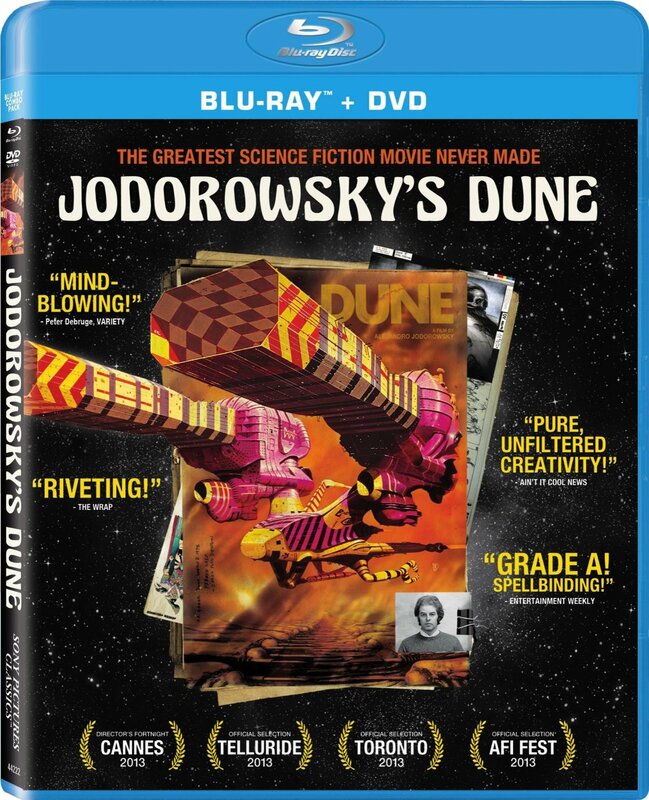 Jodorowsky’s Dune is a documentary about the unmade film adaptation of Frank Herbert’s novel, which only exists in concept art by Chris Foss, Moebius and HR Giger… and a complete storyboard “bible” which Jodorowsky’s producers sent to a number of US studios. A fascinating look at what could have been a fascinating film. Honourable mentions. Fear Eats The Soul, Effi Briest and The Marriage of Maria Braun, all by Rainer Werner Fassbinder (1974, 1974 and 1979, Germany), and all from a DVD box set I received for Christmas, these were I felt the best three. The Big Red One, Samuel Fuller (1980, USA), I’m not a big fan of WWII films but this is a good one, and even manages to rise above what is obviously a smaller budget than most such films get. Mon Oncle, Jacques Tati (1958, France), more modernist low-key humour, which may not be as cinematically beautiful as Playtime, but comes a close second. James Cameron’s Deepsea Challenge, John Bruno, Ray Quint & Andrew White (2014, USA), another Blu-ray not available in the UK which motivated my purchase of a multi-region Blu-ray player, this documentary covers Cameron’s descent to Challenger Deep in 2012. Two or Three Things I Know About Her, Jean-Luc Godard (1967, France), although not a Godard fan I do love some of his films, such as this one, a study of a bored housewife who works on the side as a prostitute; I’ve already bunged the Criterion DVD on my wishlist. 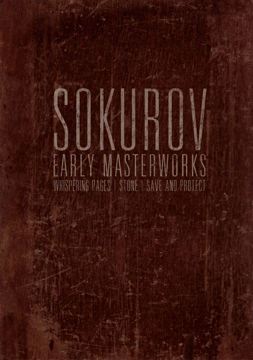 Whispering Pages and Spiritual Voices, Aleksandr Sokurov (1994 and 1995, Russia), a completely opaque drama and a deeply philosophical documentary (about Russian soldiers), yet more evidence of my admiration for Sokurov’s works. Moscow does not Believe in Tears, Vladimir Menshov (1980, USSR), an odd drama about three women in Moscow in the 1950s and the 1970s, which makes a pleasing antidote to US “evil empire” propaganda. Dilwale Dulhania Le Jayenge, Aditya Chopra (1995, India), a superior Bollywood film about UK-based NRIs and arranged marriages, with amusingly broad comedy, well-staged musical numbers and a pair of likeable leads. The Man from London, Béla Tarr (2007, Hungary), my first Tarr and probably the most plot-full of his films, and while I’m still not quite plugged into his brand of slow cinema, it’s definitely the sort of cinema that appeals to me. 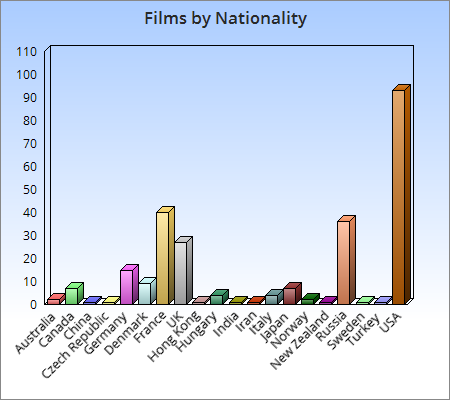 I still seem to be watching mostly American films, but that’s likely because so many on 1001 Movies You Must See Before You Die list are American – or, at the very least, the US ones are easier to find (ie, readily available for rental). The good showing for Russia is, of course, Sokurov – several of his films I’ve watched two or three times already this year. 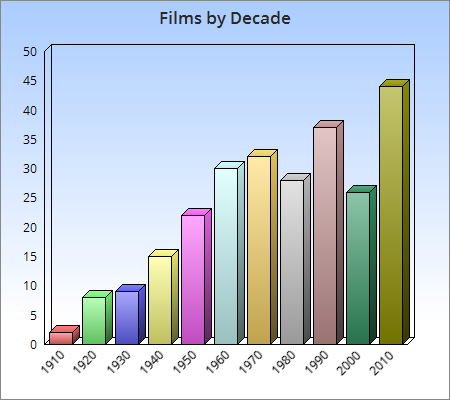 A reasonable spread across the decades, although I would have expected the fifties and sixties to do better than the seventies, as I much prefer films from those earlier two decades. The first decade of this millennium doesn’t seem to have done very well either, which is odd. 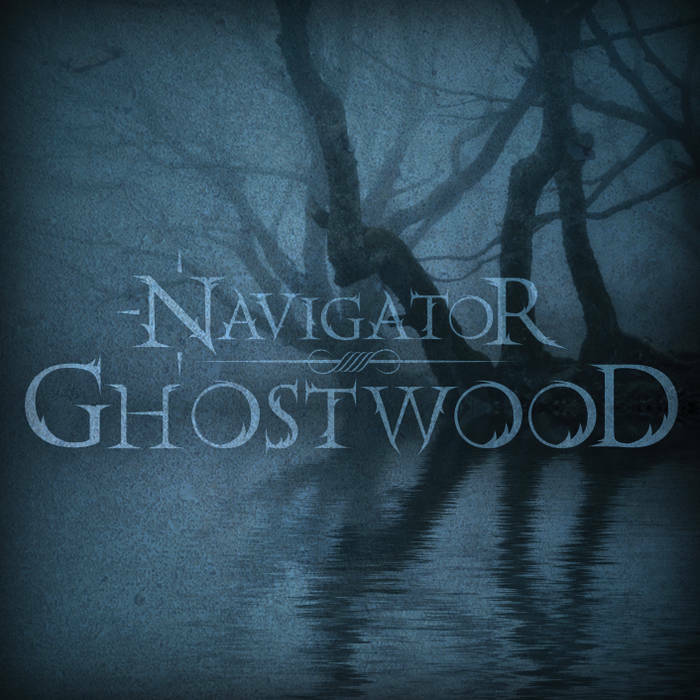 Ghostwood, Navigator (2013). 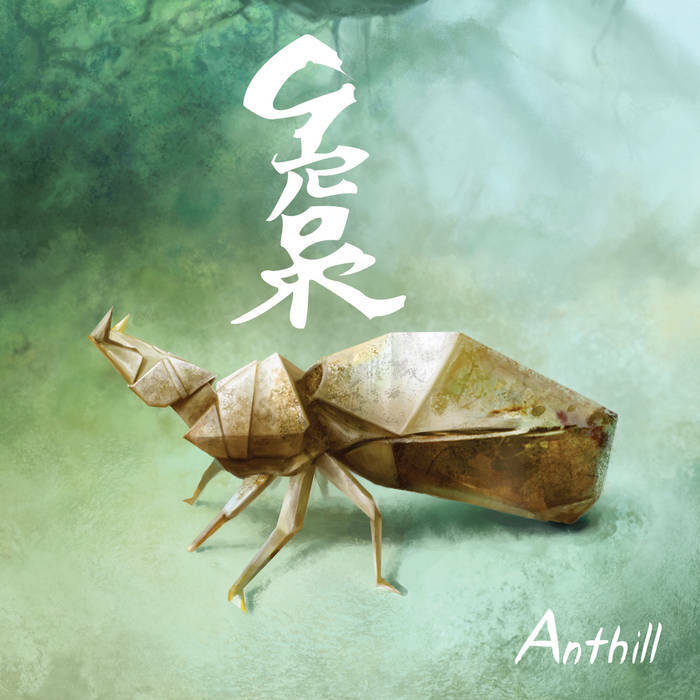 A US prog rock band I stumbled across on Bandcamp, and then began listening to repeatedly. In parts they remind me of Australia’s Chaos Divine, and though they describe themselves as “for fans of: Porcupine Tree”, I think I prefer this album to those by Steven Wilson’s band. There are a few bits of electronica in there somewhere, but also plenty of heavy riffing- the title tracks boasts especially good riffage. And very catchy melodies. Good stuff. Sidereus Nuncius, Apocynthion (2013). A Spanish death metal band with a death metal / post-metal sound not unlike NahemaH’s – who were also from Spain, but have sadly disbanded after only three albums. 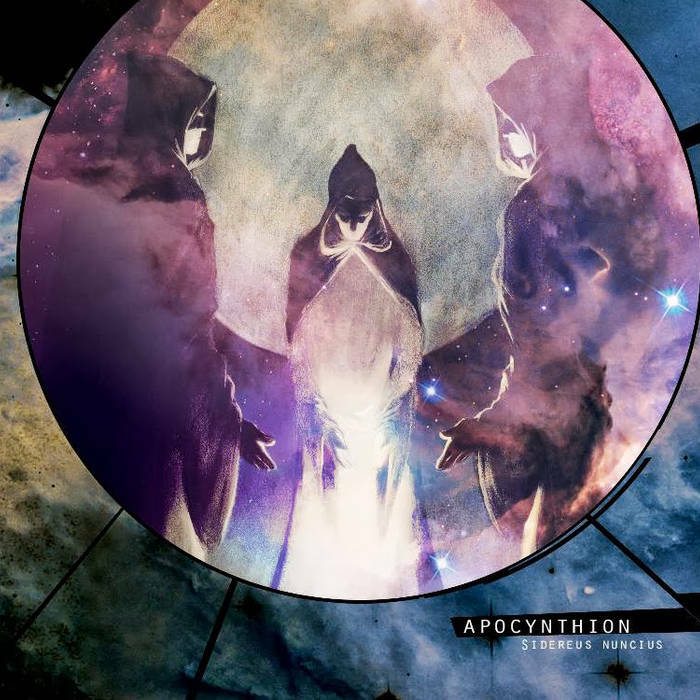 I hope Apocynthion stay together and produce many more albums. The opening track with its insistent drumbeat is especially good. 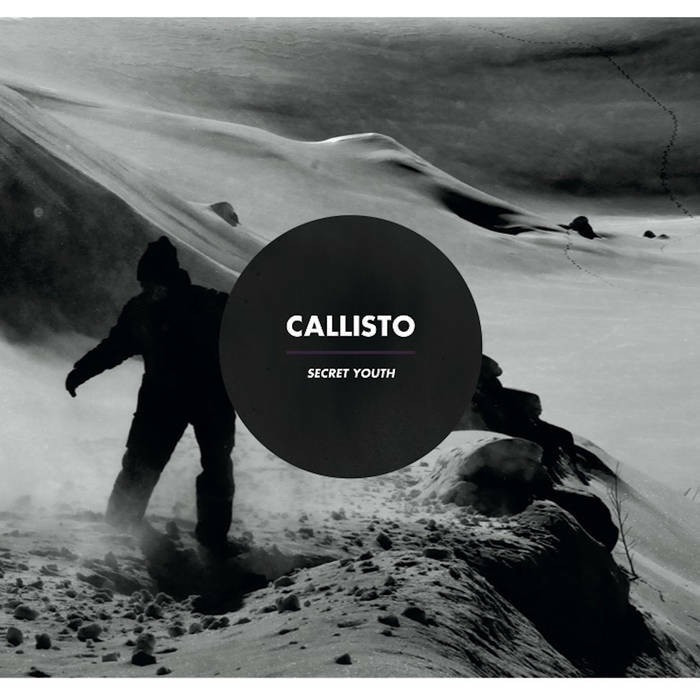 Secret Youth, Callisto (2015). I bought a Callisto album several years ago, and though I enjoyed their brand of heavy post-metal I never bothered with any of their subsequent albums. But then Zero Tolerance magazine streamed this, their latest, I gave it a listen, discovered it was very different to their earlier album… and liked it so much I bought it. It’s still post-metal, but the growls have been mostly replaced by clean vocals, and in places there’s almost an early Anathema-ish sound to it. 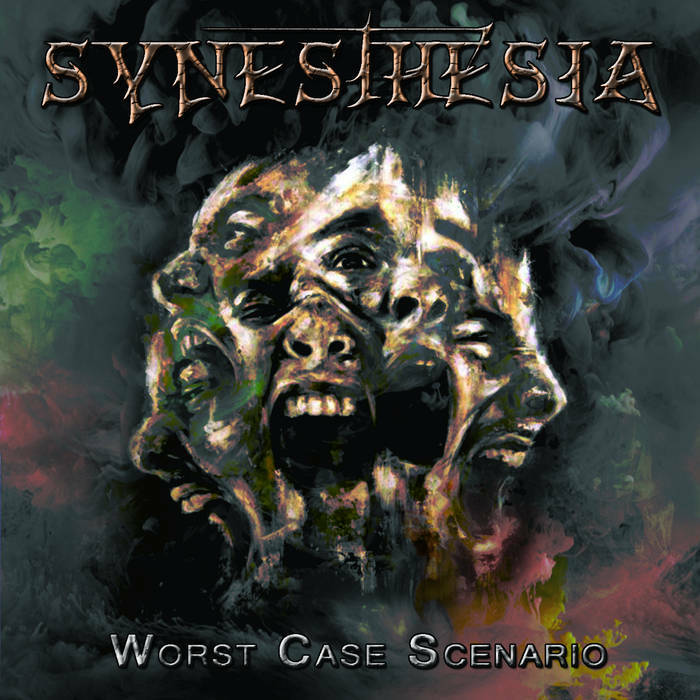 Worst Case Scenario, Synesthesia (2015). This was very much a lucky discovery and while at first they reminded me quite heavily of The Old Dead Tree – who, like Synesthesia, are also from France – repeated listens proved they definitely had their own thing going. Like The Old Dead Tree, they drift between death and goth metal, but they also throw quite a bit of prog into it, and it’s a mix that works well, even if in places they sound a bit Muse-ish. 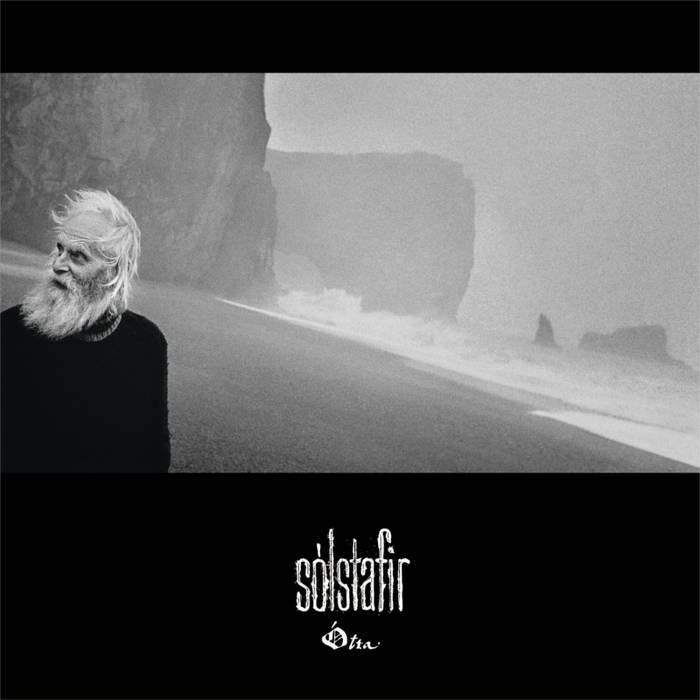 Ótta, Sólstafir (2014). These Icelanders were excellent live, so I bought their last two albums (the only ones available on Bandcamp), and it’s hard to say which is the better of the two. There are a couple of cracking tracks on 2011’s Svartir Sandar, but I decided Ótta was just a little bit the better of the two, if only for the banjo-accompanied title track. Honourable mentions. Doliu, Clouds (2014), a UK doom band, and the track ‘if these walls could speak’ is absolutely brilliant. Entransient, Entransient (2015), a US prog metal band with a bit of post-rock thrown in for good measure. Good stuff. The Malkuth Grimoire, Alkaloid (2015), a German progressive death metal supergroup, containing (ex-)members of Necrophagist, Obscura, Spawn of Possession, Aborted, Dark Fortress, God Dethroned, Blotted Science and Noneuclid, this is quality stuff, in the same area as Barren Earth but a very Germanic version. Svartir Sandar, Sólstafir (2011), see above. Half Blood, Horseback (2012), as the album’s Bandcamp page puts it, “shifts from Americana twang to fiercely evil buzzing guitars to hypnotically meditative kraut-drone”, which is as good a description as any; file alongside Ultraphallus. Categories: 2015 roundup, albums, books, films | Tags: adam roberts, aditya chopra, aleksandr sokurov, alkaloid, apocynthion, béla tarr, callisto, carl theodor dreyer, carolyn ives gilman, claire north, clouds, entransient, frank pavich, giuseppe tomasi di lampedusa, gwyneth jones, horseback, jacques tati, james cameron, jean-luc godard, lavie tidhar, marcel theroux, michael blumlein, navigator, paul scott, rainer werner fassbinder, samuel fuller, sólstafir, stephen dedman, synesthesia, vladimir menshov | Permalink. The Luck of Brin’s Five, Cherry Wilder (1977). I read this for SF Mistressworks. My review is here. 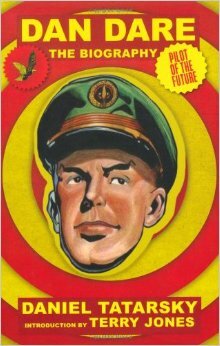 Dan Dare: A Biography, Daniel Tatarsky (2010). Back in the late 1970s, my parents bought me a Hamlyn anthology of Dan Dare stories one Christmas, containing ‘The Red Moon Mystery’ and ‘Safari in Space’, both of which remain my favourite Dare stories. Several years ago, I collected the full set of Hawk Publishing Dan Dare reprints (see here). So when a “biography” of Dare was published a couple of years ago, I picked up a copy. And… it’s not very good. The book tells the story of Marcus Morris and Frank Hampson, and how Eagle was begun. But the writing throughout is terrible, and I spotted several inaccuracies (on things not related to Eagle, to be fair). There are some nice colour plates, particularly of the mock-ups of the first issue, and a useful appendix giving plot summaries of all the Dan Dare stories published in Eagle. But there are better books about Hampson, and reading about Dan Dare is no substitute for reading the actual Dan Dare comic strips. What The Doctor Ordered, Michael Blumlein (2013). 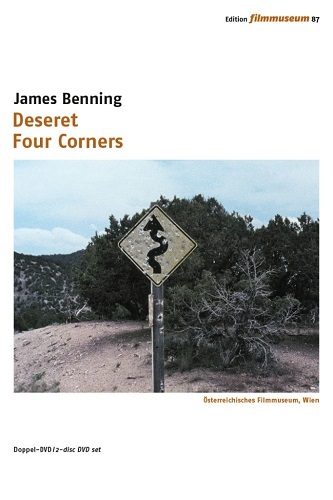 I’ve been a fan of Blumlein’s fiction since first reading him in Interzone back in the 1980s. Unfortunately, he has not been exactly prolific – three novels to date, and What The Doctor Ordered is only his second collection after 1990’s The Brains of Rats. Which doesn’t mean there aren’t a few stories still uncollected. What The Doctor Ordered collects fourteen stories, dating from 1997 to 2012, and originally appearing in a variety of venues, such as F&SF, Asimov’s, Flurb and a handful of original anthologies, mostly horror or dark fantasy. The one thing I’d forgotten during all the years I’d not read Blumlein was how bloody good he is. His three novels are all too different to really get a handle on him as a novel writer. But his short fiction really is very, very good. Best story in here is ‘Isostasy’, although ‘The Roberts’ is also excellent. Blumlein’s fiction is unsettling in ways that I think few authors manage to be. His prose is clinical and sharp, and he paints realistic pictures… into which he drops something fantastical that nonetheless manages to fit in. And then he twists it in ways that makes it seem all the more uncomfortable. One of the best collections I’ve read in recent years. 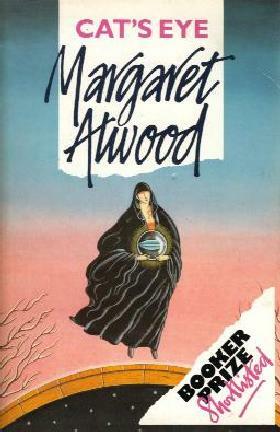 Cat’s Eye, Margaret Atwood (1988). The narrator of this novel is a middle-aged artist, Elaine, who has returned to Toronto to attend a retrospective of her career. This triggers a series of long extended flashback sequences, in which she remembers her childhood in the city, particularly her friendship with three schoolfriends, one of whom was a cruel bully; but she also remembers her college years and her early years as an artist. That bullying schoolfriend, Cordelia, haunts Elaine, even in the present – although the tables did eventually turn, and while Elaine never bullied Cordelia to the extent she was bullied herself, Elaine does recount how Cordelia unravelled over the years and eventually ended up in a sanatorium. If Cordelia’s decline is signposted throughout the novel, then I missed most of it, though her fall as an ironic mirror image of Elaine’s rise to success did seem a little too obvious. 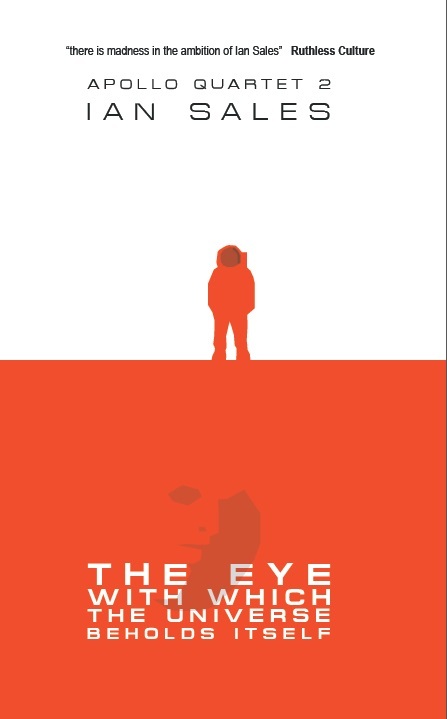 Cat’s Eye was a surprisingly easy read, and if the early chapters, detailing Elaine’s childhood, were a little grim and hard to take in places, there was plenty more in the novel to balance them. Worth reading. Cautionary Tales, Chelsea Quinn Yarbro (1978). Another book read for review on SF Mistressworks. My review is here. 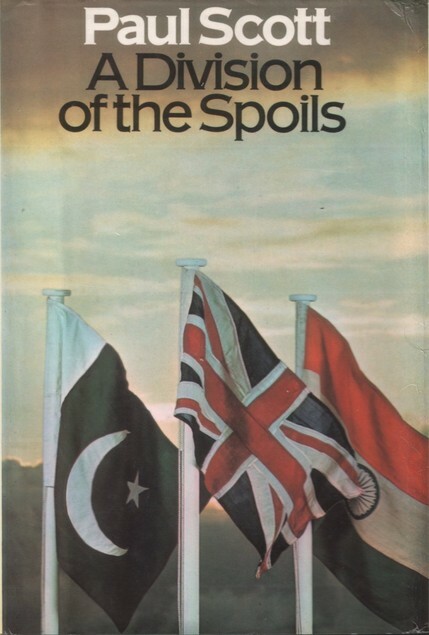 A Division Of The Spoils, Paul Scott (1974). The fourth book of the Raj Quartet, and the war is over in Europe, the Americans have dropped their atom bombs, but there is still Malaysia to be taken back from the Japanese. In India, demission of power from the UK is a certainty – the socialist government back home are focusing on domestic issues, and are not interested in Empire. This novel introduces Guy Perron, played by Charles Dance in the TV adaptation (and probably the character most remembered after Timothy Piggot-Smith’s Ronald Merrick), who despite his privileged background has managed to stay a sergeant throughout the war. He meets Merrick, who is now a major dealing with the Indian army deserters who joined the Germans and Japanese, and is detached to his staff. Through Merrick, he also meets Sarah Layton, whose narrative figured prominently in both The Day Of The Scorpion and The Towers Of Silence. Also prominent in the narrative is Nigel Rowan, who made a brief appearance in one of the earlier books. Rowan and Perron are old school-mates, as was Hari Kumar – whose false imprisonment as a political detenu by Merrick, who is wrongly convinced Kumar raped Daphne Manners (the events surrounding this form the core of the first book, The Jewel In The Crown). Through Rowan, Perron and the Laytons, Scott examines the route to independence and its effect on Britons living in India, weaving in and out of the plot of the preceding three books as they relate to Perron, Rowan and Sarah Layton (the TV adaptation went for a straight chronological structure, and misses a lot of the books’ arguments and subtleties). Scott is quite scathing in his critique of the Raj, and of the British who ruled India. It’s not hard to understand why these four books are considered classics, they’re certainly amongst the best post-war British literature I’ve read. I suspect I’ll be rereading them again one day. Alexandro Jodorowsky’s Screaming Planet, Alexandro Jodorowsky & various artists (2013). I’m a fan of Jodorowsky’s films and bandes dessinée, but I knew nothing about this title when I bought it. Still, Jodorowsky… It proved to be a linked anthology of short pieces, written by Jodorowsk but drawn by a variety of artists, which featured in the relaunched Métal Hurlant. A sentient planet is mistreated by its natives so badly it somehow makes them build an enormous metal head, into which it decants its personality, and which is then blasted into space – this is the “screaming planet”. And as it journeys through the cosmos, it passes by other worlds and its presence affects one or more people on those worlds. The story themselves are linked only by the giant head passing in the sky. Some work better than others. 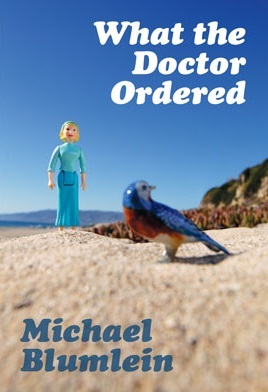 This is minor Jodorowsky – although he does confess in an introduction that he is used to working at longer lengths and found writing these “short stories” challenging. Categories: book review, books, reading diary 2015 | Tags: alejandro jodorowsky, chelsea quinn yarbro, cherry wilder, dan dare, margaret atwood, michael blumlein, paul scott | Permalink. With all the dipping into books I’ve been doing for research for All That Outer Space Allows, I’ve not been reading as much as usual – although I have managed to fit in several reads for review for SF Mistressworks. And, er, several books which I’ve actually written about at greater length… which is something I’ve not done on here for a while either. Dark as the Grave Wherein My Friend is Laid, Malcolm Lowry (1968). My love of Lowry’s prose remains undimmed. I wrote about this book here. Women as Demons, Tanith Lee (1989). I reviewed on SF Mistressworks – see here. My Name is Red, Orhan Pamuk (1998). I originally picked up this book for a world fiction reading challenge a couple of years ago, but got bogged down about halfway in and gave up. I eventually decided to give it another go, and this time I managed to finish it. In Istanbul in the late sixteenth century, the Sultan asks a retired and highly-regarded miniaturist to manage the creation of a book to celebrate his reign. But this book will not be illustrated in the Persian style, as is considered proper and religiously correct, but in the European style (depictions of people and animals is haram in Islam; hence Islamic art’s focus on calligraphy and architecture). But one of the miniaturists secretly approached to provide illustrations, or part of the illustrations, disagrees with the project and murders one of the other miniaturists. The novel is structured as first-person narratives by all those involved, including the murdered victims, the daughter of the man managing the project, and a young man who has returned to Istanbul after years in the provinces to ask for the daughter’s hand… It’s not the fastest-paced of murder-mysteries, and Pamuk seems fond of presenting the same piece of information from several different viewpoints so they more or less contradict, or at least, confuse each other. 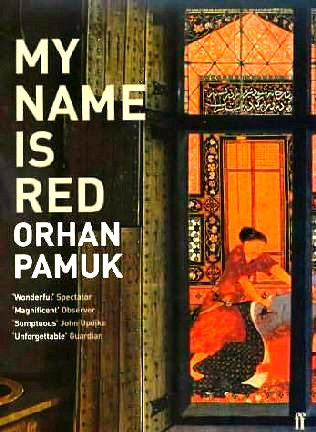 But I did think My Name is Red was very good… although I wasn’t so taken I plan to seek out Pamuk’s other novels. Mindjammer, Sarah Newton (2012). 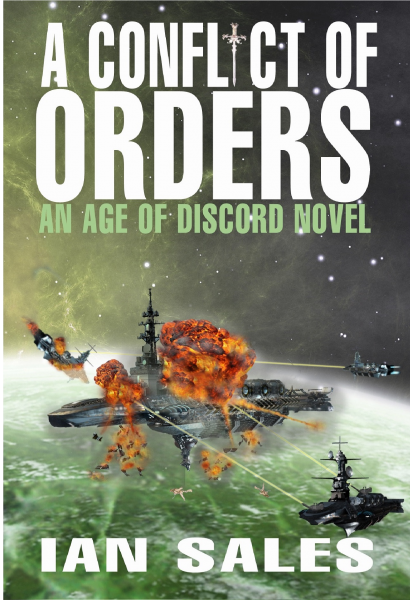 This novel set in the world of a sf role-playing game of the same name and is, I believe, chiefly intended to support the RPG rather than vice versa. Which no doubt explains some of its set-up, like ,for example, the fact that it follows the adventures of a group of four military specialists from varied backgrounds (ie, both above and below the law). 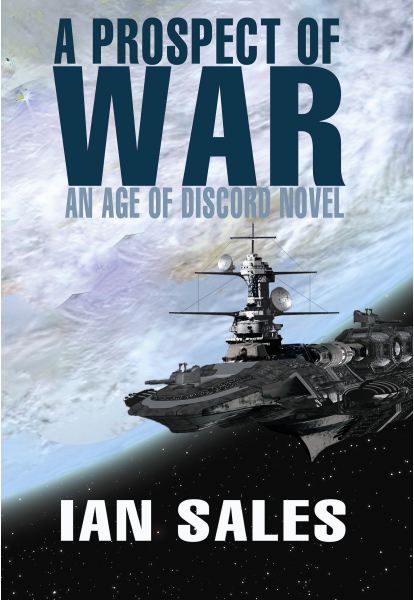 They’ve been sent to a rediscovered human polity as a Security and Cultural Integrity Force team by the New Commonality of Humankind in order to ensure everything about the newly-discovered world, Solenius, is exactly as it seems. Except, of course, it’s not. The plot of the novel basically comprises the four SCI agents stumbling from one violent encounter to another, interspersed with fact-filled info-dumps, while a number of villains twirl moustaches and gloat evilly. Mindjammer is space opera turned up to eleven, which is both its appeal and its worst problem. Space opera needs those clunky wodges of exposition, it needs a relentless plot filled with violence, discovery and violent upsets, it needs to rely on clichés because there isn’t much room for anything else… And when you have a space opera based on what is clearly a rich and lovingly-designed role-playing game universe… One for fans of the subgenre as much as it is for fans of the RPG; but yes, one for fans, I think. 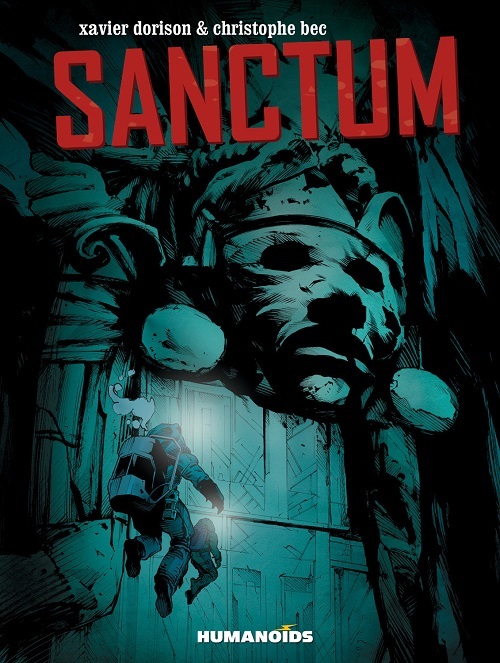 Sanctum, Xavier Dorison & Christophe Bec (2014). I picked up a copy of the first part of this a few years ago, but it’s only recently an omnibus edition of all three parts has appeared in English (I was tempted to buy it in French, but never got around to it). Sadly, after all that wait, I can’t really say it was worth it. Some things it does very well, but it also fails quite badly in other respects. The opening section, in which a US submarine stumbles across a wrecked Soviet sub in an underwater chasm off the coast of Syria is done well… Except it all takes place at 4,000 feet, and you can’t have people diving that deep – the pressure would crush them. And should you somehow manage to saturation dive at nearly 120 atmospheres, you’d be decompressing for weeks afterwards. The US submarine is also infeasibly large inside, and reminded me of the Russian mining submarine in the BBC’s execrable The Deep (which I wrote about here). Near the Soviet wreck, the divers find the entrance to an ancient temple. Which is where the story turns all Lovecraftian, as the temple proves to be a magical prison for a Sumerian demon, which the Americans inadvertently release. The art is uniformly good throughout – it was intended to be cinematic, and it works well in that respect – and the story does hang together, even if the pacing is a little slow. But the author should have done a little more research and not sacrificed plausibility for drama. All Those Vanished Engines, Paul Park (2014). I am a big fan of Park’s fiction. I wrote about this book here. Isaac Asimov’s Space of Her Own, Shawn McCarthy, ed. (1984). I reviewed on SF Mistressworks – see here. A Month Soon Goes, Storm Jameson (1962). The first read in my informal project to try a number of British women writers from the first half of the twentieth century. And I enjoyed it very much. A polished piece of work. I wrote about it here. The Suicide Exhibition: The Never War, Justin Richards (2013). This was a freebie from Fantasycon, and I only picked it up after spotting the Nazi Black Sun and flying saucers on the cover. 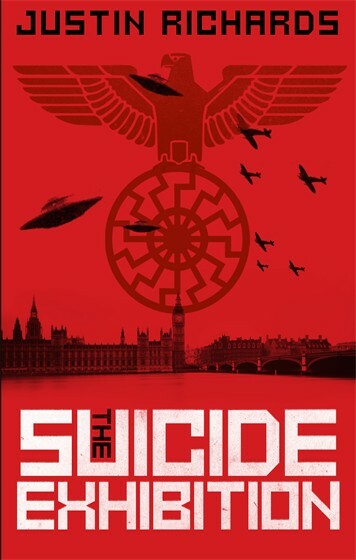 And this was despite recently reviewing Graeme Shimmin’s A Kill in the Morning, another occult Nazi alternate history, for Interzone and not being very impressed. A secret section of the British intelligence services called Station Z crops up in various places, intriguing a man and a woman who are plainly intended to be the series main protagonists. They are duly recruited and learn that Station Z is fighting against Reichsführer Himmler’s new secret occult weapon, ancient technology some of his Ahnenerbe officers have discovered in ancient barrows scattered across Europe. Unfortunately, also in said barrows are alien creatures which are, well, are completely ripped off from the hand-creatures in Alien, and some sort of alien parasite which keeps the ancient kings interred in the barrows still alive, sort of – and who promptly go on a violent rampage once released. Oh, and there are some flying saucers too, which may be linked to the ancient aliens. It’s all complete tosh, and appallingly researched. Incidentally, the title refers to an exhibition laid on in the British Museum for the duration of the war and which the Museum didn’t mind losing should the Germans bomb the crap out of the building. It’s also mentioned later as a metaphor for Station Z or something, but its presence in the story is so trivial it seems completely undeserving of providing the title. Avoid. Across The Acheron, Monique Wittig (1985). I reviewed on SF Mistressworks – see here. 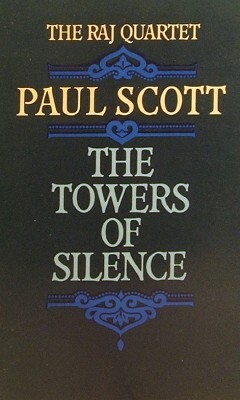 The Towers Of Silence, Paul Scott (1971). This is the third instalment of Scott’s Raj Quartet. I must admit to a little confusion when I started the book. I was pretty sure I’d not read it, but the story seemed very familiar. At least, it sort of did. And when the narrative referred to something I remembered clearly from an earlier book in the quartet, but here it all happened off-stage, I realised that Scott was covering ground previously described but this time from different characters’ viewpoints. So, for example, when Sarah Layton goes off to Calcutta and has her adventures there, The Towers Of Silence remains behind in Pankot and, in the person of Barbie Batchelor, we get to witness Mabel Layton’s death at first hand. Barbie, incidentally, is a superb creation, an ex-Mission teacher who has retired to Pankot and shares Rose Cottage with Mabel as her companion. She’s played in the television series by Peggy Ashcroft, who is the best thing in the programme, and captures Barbie perfectly; although the rest of the series is a little disappointing as it misses so much interiority out that most of the characters comes across as unrepentant racists. The books, however, are built on cleverly-nuanced character studies, so they’re vastly superior to the TV series. 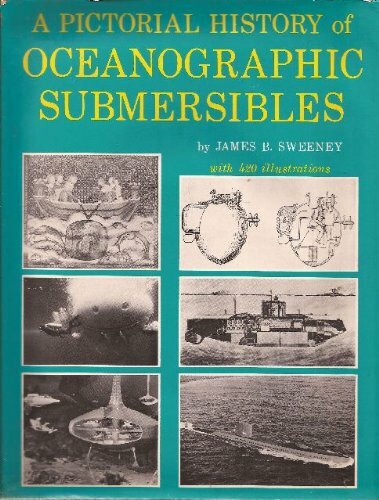 A Pictorial History of Oceanographic Submersibles,, James B Sweeney (1970). I picked this up cheap on eBay, and it proved to be ex-library so I got a partial refund. I should have sent it back – while it covers the early history of submarines reasonably well, as soon as it reaches WW1 it’s almost as if the world shrinks to only the US and its concerns. The chapter on WW2 is especially bad – it reads as though only the USA and Japan operated submarines, with only brief mentions of German U-Boots (which are not U-Botes, as the book writes at one point) and British mini-submarines. It’s also deeply racist – the Japanese are referred to as “the little people from the land of the Rising Sun” and dropping an atomic bomb apparently caused Hiroshima to be “blasted into immortality”. The writing throughout is terrible, and while I’ve spotted no blatant inaccuracies there is plenty that is given such an American emphasis it mendaciously implies every single advance in the field was made by that country. Categories: book review, books | Tags: christophe bec, graeme shimmin, james b sweeney, justin richards, malcolm lowry, monique wittig, orham pamuk, paul park, paul scott, sarah newton, shawna mccarthy, storm jameson, tanith lee, xavier dorison | Permalink. I’ve recently been reading a new science fiction anthology for review for Interzone and this, coupled with David Hebblethwaite’s remarks on science fiction awards here and Nina Allan’s comments here, has brought into focus some elements of my increasing dissatisfaction with the genre and its resistance to progress. Especially hard science fiction. David complains about the lack of experimentation in form in sf, but I think there’s also a lack of experimentation in settings and narratives in hard sf. It’s all very well using cutting-edge science, the latest descriptions of exoplanets or the moons of Jupiter… But it always remains outside, outside the reader’s viewpoint on the plot, outside the characters’ psychology, their motivations or perceptions or worldview. While it’s true human beings need a specific environment to survive, and will take their society and transplant it wherever they may find themselves, irrespective of that external environment… their new surroundings will affect them, will change them. Not only must they make accommodations with their location, but their society will likely change as a result. But it rarely seems to in science fiction stories. Writers simply transplant a society little different to the writer’s present to their new environment, and add some technological bells and whistles to justify its presence. Even worse, they often model their society on an older one, such as the Wild West, with all its lawlessness and amorality, and stick it on, say, Io. How progressive is that? It’s not, of course. For all the story’s gimmickry and ideas, it still posits the sort of individualistic and brutal human (male, usually) that hasn’t characterised human society for centuries and is certainly unlikely to do so in the future. To me, hard science fiction’s inability to reflect its settings in the psychology of its protagonists is a failure of the imagination. A good non-genre example would be Paul Scott’s Raj Quartet, comprising The Jewel In The Crown, The Day Of The Scorpion, The Towers Of Silence and A Division Of The Spoils. It covers the years leading up to, and during, the independence of India, but much of the story is set among British expatriates in the country. While the British in India built communities that were models of those back home in the UK, they could not help but evolve into something different through contact with the country’s population. And the people living in those countries changed too – so much so that they often suffered culture-shock on their return to Britain. If you look further afield in sf, particularly in the short fiction market, there’s plainly a twenty-first century strain of the genre, one which freely borrows imagery and tropes from fantasy and New Weird. It also displays a greater spread of settings, societies and protagonists. Personally, I think the focus on imagery is mostly surface and usually hides a lack of sfnal progress – that’s progress in terms of how science fiction works, of course; the elements which go together to create science fictions and so differentiate them from other works of literature. The other areas in which sf is progressing – diversity, non-binary gender, etc – I think are excellent and long past due. All this makes hard sf’s insistence on sticking to old story patterns all the more puzzling. I once defended hard sf from an accusation of being inherently right-wing. I still think it’s not right-wing, though I recognise many of its proponents write from a right-wing perspective. But certainly the subgenre is reactionary and conservative (with a small “c”, note). It doesn’t have to be. The laws of physics may be immutable, but there’s nothing that says human societies always tend to the Competent Man (usually a white Westerner) lording it over others by virtue of his competence, wits and willingness to commit violence. In fact, that’s a pretty offensive characterisation of human society. It’s sadly also widely prevalent in hard sf (and in sf too, in a wider sense). Nina Allan, in her post, writes that sf no longer seems to comment on political and social issues, nor displays “evocative and original use of language”. She also makes a very useful distinction – between authors who write from within science fiction and authors who “draw their influences from science fiction”. Both her and David’s comments are addressed to the former – as are mine. I think Nina makes some interesting points, but her comment about language seems to me to forget that science fiction is chiefly a genre of commercial fiction, with much of its DNA provided by pulp fiction. The current economic climate (well, actually, the global economy the neoliberals and neocons have gifted us over the past thirty years) means publishers prize commercial science fiction more than they do literary science fiction. The small presses – and self-published authors, to some extent – have picked up the latter baton, but they are still small fry in a large profit-driven ocean. When writing commercial fiction in any genre, there’s a tendency to stick to tried and tested – and familiar and lucrative – patterns. So it doesn’t really surprise me that prose in sf novels is blanding out, or even that ideas and the presentation of those ideas is tending to more… comfortable forms. I can rue this, I can compare it unfavourably with the situation thirty or forty years ago… but there are too many things that need to change, many of which the publishing industry has no control over, before it can be resolved. Plus, there are other issues which need to be addressed first – notably the lack of diversity, and the preponderance of sexism and racism – and it’s good that the sf conversation keeps on talking about these topics and is making progress at combatting them. But. Science fiction. The stuff that makes these stories what they are. Nina uses this year’s Clarke Award shortlist as a barometer of the state of the genre. Which is not necessarily a fair argument. It has never been part of the award’s remit, and the jury are, as she acknowledges, all too human – in fact, I suspected one of the judges of championing the Mann but when I asked they said they hadn’t… which only shows the danger of making such assumptions. And speaking of Phillip Mann’s The Disestablishment of Paradise, for all the book’s faults, it can’t be accused of not being experimental in form. True, its structure is hardly original – a story-within-a-story, with “author” interpolations, plus ancillary material presented as appendices – but neither is it the far more common straightforward linear narrative, or indeed the relatively common dual narrative, past versus present, of the eventual winner, Ancillary Justice. The point I’m trying to make, which unfortunately I keep on ruining by drifting from the point, is that the science-fictionalness, to coin a phrase, of a text, particularly hard sf, has not appreciably progressed for decades. I don’t doubt that the bulk of sf authors in years past never really bothered to interrogate or deconstruct the tropes they used – although some did, Samuel R Delany certainly did – and likewise very little present-day science fiction makes a serious attempt at examining the science-fictional assumptions, the tropes and genre furniture, of which it makes use. Nor do they explore the psychology of their protagonists. These, I think, are not only a missed opportunities, but also make sf, for me, a less interesting genre than it could be in the twenty-first century. So let’s add these things together – from David, the lack of experimentation in form; from Nina, the lack of contemporary commentary; and from myself, the failure to examine what science fiction actually does and why it does it… Surely there’s something in among that lot worth exploring? 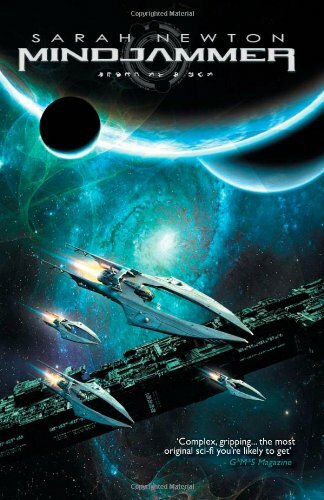 Which is why the hard sf anthology I mentioned in the opening paragraph of this post proved so disappointing a read – and also seemed to be so emblematic of much that I feel in sf isn’t working for me. 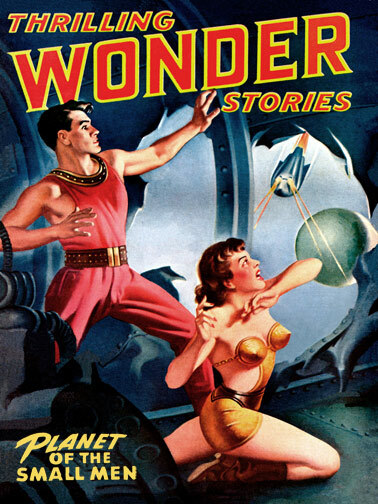 The anthology’s contents certainly met its theme, and they definitely qualified as “hard science fiction”… but there were so many unaddressed assumptions implicit in the stories, and so little examination of what makes a story hard sf rather than simply sf, that I couldn’t understand why the editors had even bothered to put it together. Science fiction is by definition fecund terrain for stories. Hard sf may add some restrictions, but that should in no way limit how it tells its stories. Why can’t sf writers dig a little deeper into the tropes they use so blithely? Why can’t they take science fiction apart, examine it from all angles, and then put it back together in interesting ways? I’d not only like to see that happen to a much greater extent than it does presently, I’d like to see it as the default mode for writing science fiction – especially hard science fiction. Categories: science fiction, writing | Tags: anne leckie, david hebblethwaite, hard sf, nina allan, paul scott, phillip mann, science fiction, writing | Permalink.